The Book Rat: Persuading Austen by Brigid Coady | review from Sophia Rose! 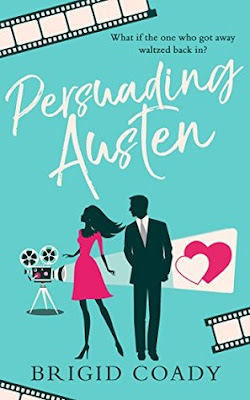 A modern retelling of Jane Austen's Persuasion set against the world of the British Period Drama and the production of Pride & Prejudice sounded like all sorts of fun so this was an easy sell for me after reading the blurb and wanting to try a new to me author. 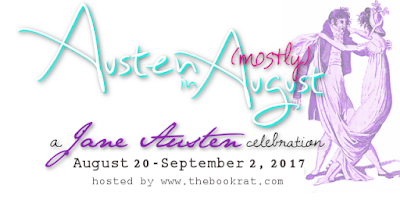 With modern retellings, I am always keen to discover how Austen's original characters will translate into the modern world and what the author will choose for the modern setting. I thought it was clever to cast the Persuasion characters as actors and actresses and at the same time offer a fun wink at the more popular Austen novel, Pride & Prejudice. I was all set to love this one to death, but I ended up settling for milder feelings of like. However, even if I hadn't tangled up which genre I was reading, I still had a struggle on my hands with the main character. Jane Austen's Anne Elliot had more quiet strength and her reasons for her youthful choice was more understandable, to me, set in the time period when things were different for women. Whereas this didn't come across with modern Annie because the times have changed for women when it comes to status, class, and women's careers. She is a doormat and just under 75% of this story was evidence of that. 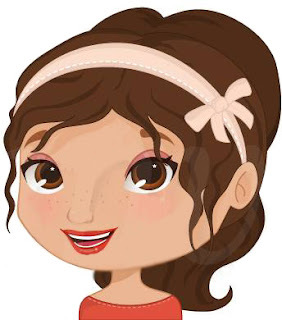 She spends her time inner monologuing about her dreary personal and family life, being resentful, and jealous, but she will not speak or act to change it. All hope is not lost. That last quarter of the book began with her epiphany moment and then growth and inner strength happened. Now this Annie, I could get behind and cheer on. Oh, the change was not overnight. She still was uncertain and timid, but at least she was making an effort. The very end came in a rush, but it was definitely sweet and romantic. The story was easily recognizable as a retelling with several key scenes paralleling the original and works fine for those who are unfamiliar or less familiar with the original story it is based on. Spoiler-non spoiler... there is a 'letter' moment (just putting that out there for those who need to know that important detail). What was a delightful surprise was the humor. The humor was a great balance for the other emotions and the overriding feel of a woman’s regret for her past. There were a few laugh out loud moments like when Annie discovers a few family secrets that tabloids would love to get their hands on and her oblivious sister Marie the TV personality being a personality off-screen, too. In summary, this was one I had to be patient with and wait for the paydirt moments nearer the end. I do love a good underdog story and this is indeed that. I also enjoyed my first time encounter with the author's writing and have my eye on a few books on her backlist. This will be for those who enjoy Women's Fiction and Modern Retellings. I rec'd this book from NetGalley in exchange of an honest review. Find more posts from Sophia here! Thank you for your review, Sophie. It sound like a book I might like to read. You're welcome, Deborah! I hope you enjoy it if you get the chance. Retellings of Austen are so tricky; I chose the Sittenfeld P & P, ELIGIBLE, last year and my book club hated it. Oh man, that stinks that they didn't like it. I've actually heard good things about that retelling and planned to read it eventually. But yes, tricky, tricky, Stephanie, especially when presenting to others to read.